Asking accused in JNU Sedition Case to prove innocence- Blatant error in law! 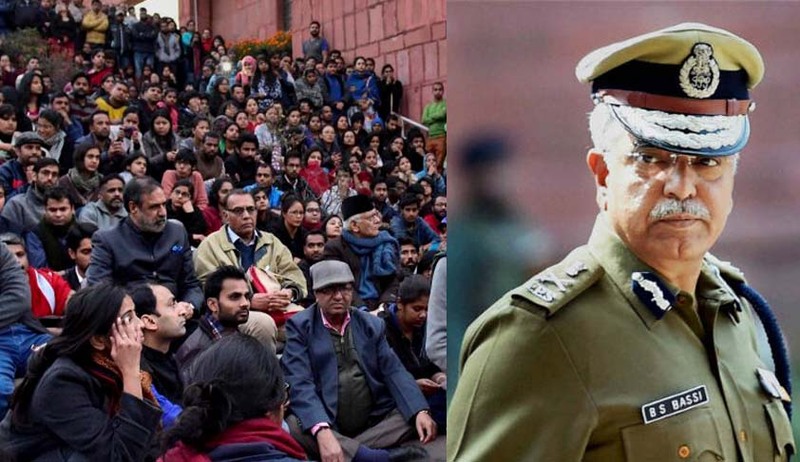 Delhi Police Commissioner B.S.Bassi today reportedly asked JNU students, who returned to the university campus last night, to join the probe and present evidence of their innocence. This statement turns upside down the very basis of criminal law that an accused is presumed innocent till proven guilty of the charged offence and shows the limited knowledge of law our investigating agencies possess. Under documents of international repute such as Art.14 (2) of the International Covenant on Civil and Political Rights 1966, Art.11(1) of the Universal Declaration of Human Rights 1948 also presumption of innocence finds special place until proved guilty according to law at a public trial at which one has had all the guarantees necessary for his defence. Chapter 7 of the Indian Evidence Act, 1872 makes it abundantly clear that evidence is to be submitted by the party which will fail if no evidence is given except if it comes under any exception of IPC. Under our criminal jurisprudence it is well settled that the burden of proving innocence of an offence would always lie upon the prosecution to prove all the facts constituting the ingredients beyond reasonable doubt. If there is any reasonable doubt, the accused is entitled to the benefit of the doubt. Noting the exceptions to this principle, it was observed by Justice K.T.Thomas in State of West Bengal v. Mir Mohammad Omar and Others, [2000 (8) SCC 382] that the pristine rule that the burden of proof is on the prosecution to prove the guilt of the accused should not be taken as a fossilised doctrine as though it admits no process of intelligent reasoning. The doctrine of presumption is not alien to the above rule, nor would it impair the temper of the rule. On the other hand, if the traditional rule relating to burden of proof of the prosecution is allowed to be wrapped in pedantic coverage the offenders in serious offences would be the major beneficiaries, and the society would be the casualty. The concept of “reverse burden” has been adopted in many statutes like Negotiable Instruments Act, Prevention of Corruption Act, Narcotic Drugs and Psychotropic Substances Act etc. In Indian Evidence Act, Section 113A (for S.306 IPC) and Section 113B (for 304B IPC) places a reverse burden on the accused. A Two Judge Bench of the Supreme Court in Sher Singh  while dealing with S.304B IPC and S.113B Evidence Act interalia held that the Prosecution can discharge the initial burden to prove the ingredients of S.304B even by preponderance of Probabilities once the presence of the concomitants are established or shown or proved by the prosecution, even by preponderance of possibility, the initial presumption of innocence is replaced by an assumption of guilt of the accused, thereupon transferring the heavy burden of proof upon him and requiring him to produce evidence dislodging his guilt, beyond reasonable doubt. However unlike Sec 304B, in cases charged u/s 124A the burden of proof is always on the state to prove sedition which does not shift on the accused at the very threshold at the stage of investigation. The criminal justice model we follow is adversarial and not inquisitorial. Even at the trial stage, the job of the presiding judge is to weigh the evidence which implies in civil cases to calculate balance of probabilities and in criminal cases to get proved the case beyond reasonable doubt by the prosecution of the accused.